Huge congratulations on winning your Chill Award! I’m Charlene Newcomb, aka Char. Mother of three, all grown and scattered from Colorado to Florida. I live in Kansas, USA. I was watching a television series that featured a couple of episodes where Robin Hood was a crusader knight serving King Richard the Lionheart in the Holy Land. I wanted to learn more about the era and devoured nonfiction about the Third Crusade and the Plantagenets in the 12th and 13th centuries. 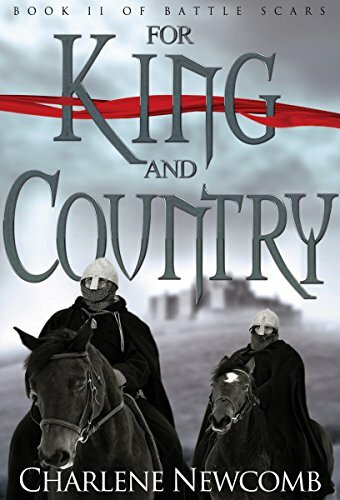 For King and Country takes place after my main characters, two fictional knights, return to England from the Holy Land and defend the crown against the king’s brother John. Awards like Chill are wonderful because it’s an affirmation I have written an engaging story that is worth other readers’ time. Chill Awards ask their reviewers to judge the book against specific criteria, and with thousands of new books available every month for readers to choose from, Chill offers a way for a book to stand out. 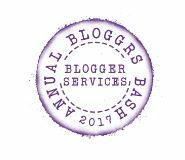 This is especially important for indies like me and I shout out a huge ‘thank you’ to Pauline and her dedicated group of readers. Men of the Cross is the prequel to For King and Country of my Battle Scars series, historical fiction/adventure with a knightly forbidden romance. It introduces my main fictional characters as they journey to the Holy Land, fight alongside King Richard, and then face the harrowing journey home when the king is captured by the Duke of Austria. The series also introduces a backstory for characters from the Robin Hood legends. My first novel, published in 2012, was a contemporary family saga centring on a father-son relationship in a Navy family. In the more distant past, I wrote numerous Star Wars short stories in magazines and online at starwars.com, including one that was published in the anthology Star Wars: Tales from the Empire. I have just completed the first draft of Swords of the King, Book III in my Battle Scars series. The story covers the last three years of the reign of Richard the Lionheart. It will be published in 2018. I work full time as a librarian at a major university in Kansas and fit in television & movies when I can, with a heavy emphasis on period dramas and fantasy. Current favourites include The Last Kingdom, Game of Thrones, and Rogue One. Timothy Zahn, who brought Star Wars back to life for me in the early 1990s, which started me on the writing path; Cathy, Mark, and Marie – my writing group partners who provide constructive critiques and never-ending encouragement; and T.H. White, whose Once and Future King inspired me to use my imagination to create stories of my own. Well, you can see I have delved into multiple genres, but history has been a passion since I was a kid. At university, I majored in U.S. History and still expect that I will write that Revolutionary War novel someday. I have a science fiction novel sitting on my hard drive right now. My hope is to write a short story or two – one-shots based on my medieval series – and then dive back into the science fiction novel while I percolate ideas for my medieval Robin Hood. Early riser – I get my best writing done in the morning.
. Civil war threatens as battle-scarred knight Henry de Grey returns from the Crusades. King Richard languishes in captivity, a prisoner of the Holy Roman Emperor. Traitors to the crown pit Henry and his friends against dangerous and unknown enemies.